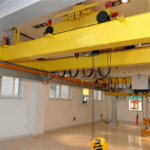 For your crane selection facility, the company right here provides you the world top ten overhead crane factories lists. 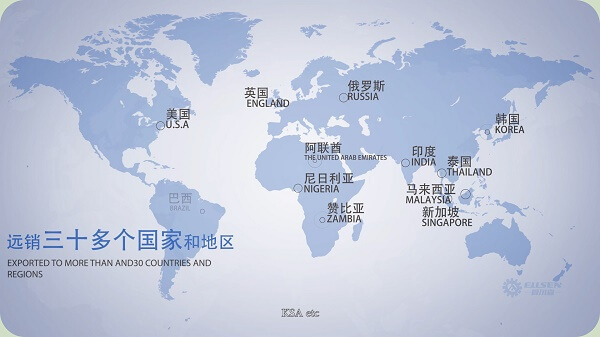 Working and cooperation with the world top overhead bridge crane suppliers and manufactures is Ellsen Crane machinery’s long commitment to producing its excellent products and services to the world customers. Right here on this page, Ellsen would like to introduce the world top ten overhead bridge crane factories for your reference. 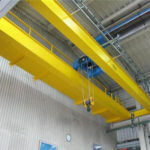 Customers would like to find some suppliers or manufacture provide overhead crane products, overhead crane parts, systems, crane training services, you can take a detailed look on this page’s crane supplier that Ellsen Crane Machinery has listed. Whenever you need such services, Ellsen Crane Machinery will always your primary choice and we would like to provide most useful sources for you. D.R. Cordell & Associates, Inc. was founded nearly half a century ago by David R Cordell, an innovator who used his craft and skill solving material handling problems for customers. The company continues to provide and service major brands of Hoists, Jib Cranes, Gantry Cranes, Crane Controls, Radio Controls, Hoist Parts and Below the Hook Lifting Equipment and accessories on the market today. D.R. Cordell & Associates. D.R. Cordell & Associates, Inc.
Gorbel®, Inc., an American crane machinery company, has over thirty years experience providing overhead handling solutions to customers in a wide range of industries. 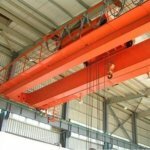 The company, just like Ellsen Crane Machinery, offers a comprehensive line of crane products, including overhead cranes, to make sure that all of customers needs can be easily met. Brehob Corporation, established in 1953, offers customers 24-hour service operation, service and repair solutions, inspections for job safety and to save you money, load testing, and capacity certification. 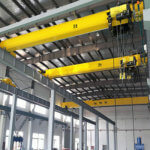 The company is well in crane inspection and maintenance, which is Ellen’s top counterparts to learn from its strength. What began as a business between longstanding friends and coworkers; has grown into a booming business including products such as electric hoists, air compressors, and overhead cranes. Established in 1953, Brehob has maintained its status as a family owned and operated business since its inception. With service available twenty-four hours a day, seven days a week; it’s easy to see why Brehob is a popular choice for electric hoists. Brehob has been providing top of the line electric components for over fifty years. Brehob has dedicated and talented designers and engineers as Ellsen Crane Machinery do have that work around the clock to ensure that the product that we put out are on the leading edge of innovation and will last through even the most rigorous of applications. Providing quality engineered solutions is what Ellsen Crane Machinery is all about! Breho also has the same goal as our Ellsen machinery. For over six decades we have been devoted to offering customer service excellence as well as products that will last a lifetime! With a rich history of continued innovation and technological advances, Brehob has the qualities in a company that many look for; making them an obvious choice in our industries. 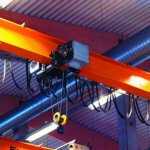 Konecranes, Inc. the company provides innovated overhead cranes that are ideal for a number of industries and applications. It aims to give his clients a competitive advantage and the company has a track record to prove its ability to manufacture top of the line solutions. Konecranes has an outstanding reputation that is built on over 80 years of delivering premium products and outstanding customer service. 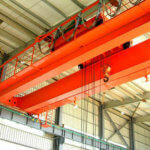 From industrial cranes to lift trucks, Konecranes is one of the best in the lifting business. The company is the world’s largest supplier of industrial cranes and also the leader in crane service. Facilities Engineering was founded in 1968 by Donovan Floriani, and has continuously provided successful solutions to material handling requirements, followed respectable engineering practices, and used the highest quality products. American Crane &Equipment is an American based company in manufacturing different kinds of overhead crane, either single type or double girder type or cranes employed in different types of industries, whose manufacturing capability just like Ellsen crane machinery. 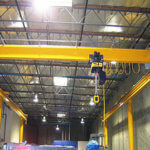 This is an American based company, which is very convenient for clients have crane needs from American. 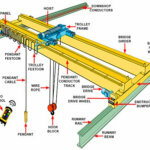 Whiting Corporation, located near Chicago, Illinois, is a major manufacturer of heavy-duty overhead cranes and railcar maintenance equipment. 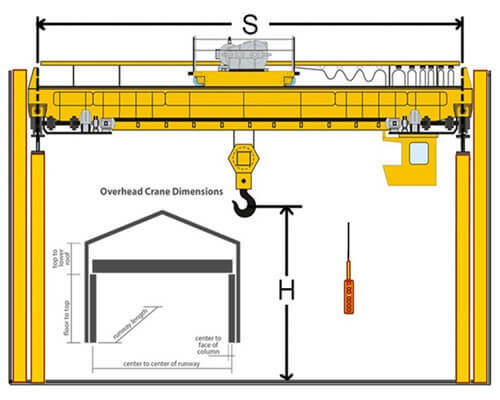 Whiting overhead cranes serve a variety of industries including steel mills, automotive plants, foundries, fossil fuel plants, metal service centers, refuse facilities, hydroelectric plants, and nuclear power plants. Additionally, Whiting is a trusted name for railcar maintenance and lifting equipment for the freight and commuter railroad industries, municipal transit authorities, railcar builders and independent maintenance shops. The company also is a good example of our Ellsen crane machinery to from its crane technology, and service in heavy loading crane machinery manufacturing. NAI Crane Corporation, a turkey crane supplier, can design, produce, install, and service cranes suited to its customers’ application needs as Ellsen crane machinery do. The company’s service involves in application reviews, cranes, runways, installation, and it can stand by its product with a strong commitment to customer service. 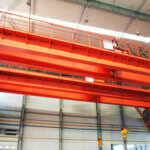 The company also has a strong product capability, and each its production floor produces over 500 cranes. Ace World Companies a renowned Crane Manufacturer based in the United States offering a complete range of Industrial Cranes Worldwide. Since 1987, ACE World Companies has supplied the industry with American-made, custom designed material handling solutions. Its vast range of products, both standard, and custom, have been developed using the most sophisticated technologies available today. Engineered Material Handling or EMH designs, sells, manufactures, installs and services a complete line of overhead material handling equipment. With a proven track record of helping businesses realize their potential with the latest innovative solutions, EMH stands apart in this industry. Wish the above top ten overhead bridge crane factories and manufacturers will be helpful for your crane selection, any help you need, welcome contact us.